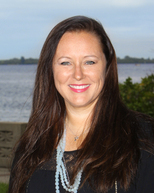 A native to Southwest Florida, Ramie graduated from Fort Myers High School in 1994. She then went on to attend Liberty University and has been in real estate since 2002 focusing on short sales and REO listings since 2007. Ramie enjoys showing and listing properties because she loves meeting and working with new people.